Whether you are interested in a resale property or new construction, please remember that IT'S ALWAYS IN YOUR BEST INTEREST TO BE REPRESENTED BY YOUR OWN REALTOR®. Listing agents and new construction sales representatives represent the property owner or builder, not the buyer. When visiting new construction for the first time, you should always have your agent with you or, if this is not possible, be sure to have your agent's card with you and present it to the sales representative. As an Accredited Buyers Representative, I am committed to taking care of your best interests. If you would like to tour any of these properties, please contact me. Click HERE for current single family home listings in SCCL. Click HERE for current condo/townhouse listings in SCCL. Remember, when visiting new build communities, the sales agent represents the builder's interests, so you'll want to make sure you have the best representation on your side. Call me to arrange a visit to a new community. Typically you need to have your agent with you on your first visit to a community or the sales agent will assume you are working with him or her. Want to see what's for sale as you drive around the area? Download the free Helen Adams Realty mobile app and discover a variety of different search options for finding properties while on the go. Click HERE for current listings at TreeTops by Lennar. Click HERE for current listings at Carolina Orchards by Pulte. I am licensed in South Carolina and specialize in Sun City Carolina Lakes and other nearby communities. Prior to moving to South Carolina, I was an active REALTOR® in the Scottsdale/Paradise Valley, Arizona area since 2005. Please click on the "ABOUT POOK" tab above for my entire bio. 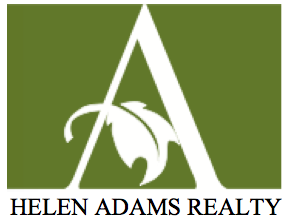 Helen Adams Realty was founded over forty years ago in the growing city of Charlotte. Since its inception, the com­pany established a reputation for providing the highest level of personal service and real estate expertise. Helen Adams Realty has become one of the most respected real estate brokerages in the region, with office locations in Central, North and South Charlotte. "Pook Bellini was a neighbor for 2 1/2 years, and we became good friends as well. Since I wanted to stay in a Sun City neighborhood, she was the perfect choice because of her first hand knowledge of our community. She understood my personal situation and I trusted her sincere desire to help me achieve a new place to call home in a caring and professional manner. Pook worked tirelessly finding me a home quickly, showing me prospects, and handling all the details of my closing. She communicated promptly with my mortgage agent, home inspectors and seller's real estate agent. My closing happened in less than three weeks because of her can do attitude and diligence. She is my amazing Energizer Bunny Real Estate Agent and friend! Thank you, Pook! You're the BEST!" "You won't find a better realtor than Pook Bellini, knowledgeable, professional and genuinely cares about her clients." "As a resident of Sun City/Carolina Lakes, Pook Bellini has tremendous insight into this community. It was critical for us to find a realtor who not only knew this area, but was willing to work with us from Virginia. Pook was always available for us - day or night by phone or email. Pook represented us during the inspection for our new home and ensured all repairs were performed by qualified contractors, since we were not able to travel back to South Carolina. Choosing Pook Bellini and Sun City was definitely a win win for us. She proved to be a trustworthy and knowledgeable realtor, and now a friend as well." 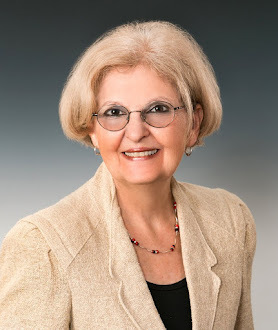 "Helen Adams Realty should be grateful to have Pook Bellini as their agent, she's tops! I know what it takes, as I have been a realtor in Columbus, Ohio for 34 years. I was impressed with her computer knowledge and hard work. She went above and beyond..."
"In my estimation Pook Bellini far exceeded our expectations. For us, she not only knew our requirements, but paid particular attention to my emotional state. I lost my mother earlier this year so moving away from family and friends was tough. She was caring and considerate beyond my expectation. I hope to remain friends with her for years to come. Outstanding. A real energizer bunny!" "Roy & I want you to know how much we appreciate your attention to detail, to help us through every step of the way in the purchase of our home. Your professional & pleasant manner was indeed what made the transaction stress free & enjoyable." "Pook helped my wife and I buy our first home together. She was extremely knowledgeable, reliable and always maintained great communication with us. Pook also helped me lease my old condo. She got it leased in under 3 weeks -- the last time I listed it, it took months before I even got any prospects. Pook is among the best in her field. We were lucky to have her as our agent and are proud to have her as a friend." I'm proud to serve on the Board of the Lancaster Animal Shelter Supporters (LASS). Please check out our new blog and, if you're on Facebook, please visit and "Like" our new Facebook page. For mobile users: “An identifier on your device” is used, rather than cookies.